Well, then we’ve got good news for you! 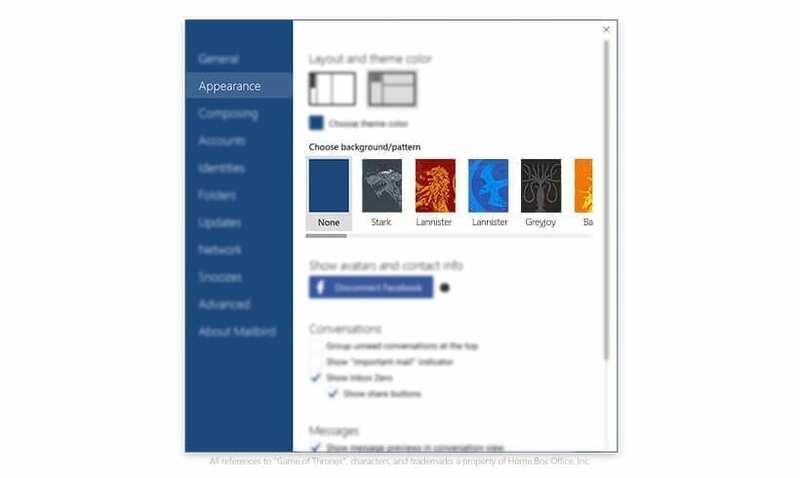 We just released 9 GoT inspired sidebar themes to celebrate season 6. Starting today, you can show off your allegiance to your favorite house – with your email client. Just click the menu icon in the Mailbird email client, click options, and then select the appearance tab. You will see all 9 sidebar themes. If you don’t yet see the new themes, you may need to update your copy of Mailbird. We’ve released these themes for all versions of Mailbird. 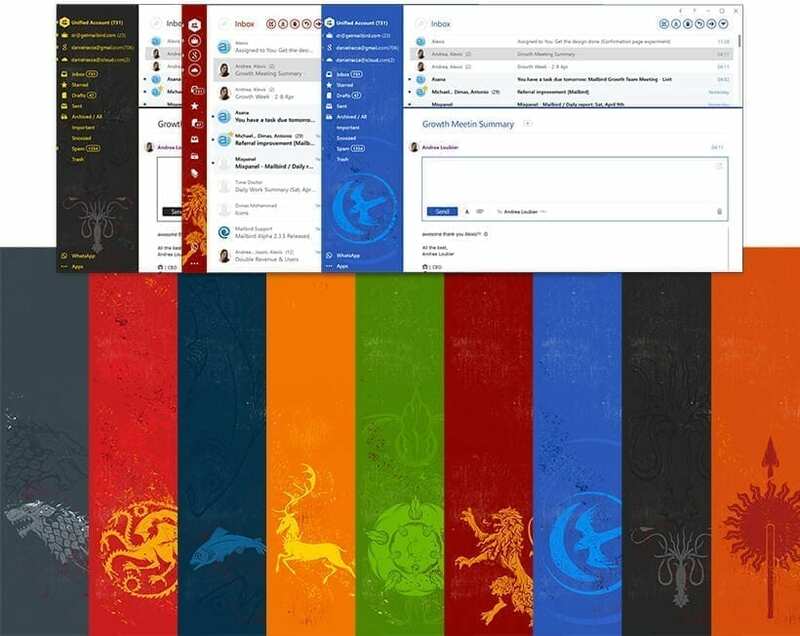 So, if you are a Game of Thrones fan, there has never been a better time to try Mailbird on your Windows computer. Season 6 premieres this Sunday and we can’t wait! What’s the #1 thing you want to see this season on GoT? 13 thoughts on "Game of Thrones Inspired House Sigil Themes"
my email client is looking good this morning, keep em’ coming! Nice themes! Using Stark right now. Winter is coming. 😀 Thanks! Will we ever be able to add own skins? Like defining a custom image with a transparent background and then simply a background color? In addition if you guys were interested you could maybe create a platform where you could easily download and install cusotm skins created by your community. Great Idea guys! You’re my HEROES! Just small advice about your new and future themes: try not to use all that horror-like neon or glowing text colors on it… There are an exact rules of gamma to be above solid / pattern background. Love you all! PEACE! Already a happy client. Bought Pro Version immediately. Really enjoying working with Mailbird. Thank you for all the built in awesomeness!